In 2005, under the auspices of the U.S. occupation, Iraq adopted a constitution that defined the first parliamentary cycle as a “transitional” period. Between 2005 and 2010 the political system would become transformed from one dominated by power-sharing among ethno-sectarian communities toward a more robustly national, issue-based form of democracy with a strong prime minister. Perhaps unsurprisingly, it was the main victor in the 10 November political agreement that would be first to publicly point out the deeper significance of parliament’s vote on Jalal Talabani on 11 November: The powerful presidency council is now dead. Of course, everyone who has read the Iraqi constitution will have been aware of this for many months or maybe even years. The tripartite presidency with veto powers was a one-off transitional arrangement stipulated to last for the first parliamentary cycle from 2005 to 2010 only, to be superseded by the more ceremonial “ordinary” presidency, without veto power. Nonetheless, even though the constitution is perfectly clear, there has been some confusion about this subject in the Iraqi press, with some journalists even believing that the two deputies of Talabani in the presidency council remained in office and were still vice presidents beyond 11 November! Today, however, Husayn al-Asadi of State of Law made this point very publicly in two ways. Firstly, he emphasised that the new presidency has no veto powers. Secondly, he suggested that there would be three deputies to the president going forward, rather than just two. Since the deputies will have less power than the essentially powerless president they are pretty meaningless in the government formation process, even though some players still seem to have an interest in them for unclear reasons. The key point, though, is Asadi’s revolt against the tripartite formula since in his vision there would be four people involved altogether, presumably from the four biggest blocs. This reflects the constitution, which unlike in the case of the presidency council with its explicit three-person formula does not specify the number of deputies for the ordinary president. It just says it should be “one or more”. So it could be three, as per Asadi’s ideas; it might as well be twenty-four since these deputies will not have any power anyway. With the current level of inflation in Iraqi politics, there still seems to be a market for “deputy presidents” and “deputy premiers” for candidates that are necessary to placate and who would normally be given a ministry without portfolio. It should be added that Talabani’s own election to the ordinary presidency was not one hundred percent constitutional, since the law called for in the constitution for selecting the president has not been passed. Nonetheless, in contrast to the situation for his deputies – which arguably cannot be elected at this point since the constitution also calls for a law for their election and, importantly, a specification of their numbers – the modalities for the president’s election are pretty much spelt out in the constitution anyway. It would be a far greater constitutional infraction to try to hold on to the presidency council, as some Iraqi lawyers such as Muayyad al-Izzi have suggested. In fact, if an attempt were made at this stage to resuscitate the presidency council, it would be necessary to cancel the election of Talabani on 11 November and his subsequent nomination of Maliki for a second term, since he was clearly elected on the basis of the constitutional article 70 (the ordinary presidency) and not 138 (the transitional presidency council). Of course Izzi was not the only one to misread the constitution. Another one was Joe Biden, who induced the US president to personally make phone calls to the Kurds in a desperate attempt to make them hand over the essentially valueless presidency to Iraqiyya instead. These overtures met with humiliating rejections since Talabani was interested in the presidency personally, even though to Kurdish interests as a whole it was a less rational move and one which might jeopardise their chances of getting hold of something truly important, like the oil ministry. But to other players, the insignificance of the deputy president position should now become clearer, with likely intensification of the competition for the jobs that do matter to follow. The BBC managed to create a story from Iraq today: “Iraq is moving one step closer to forming its next government”. The intrepid Gabriel Gatehouse identified developments as “important”. An Iraqi was interviewed and expressed hope that Nuri al-Maliki would form a government that would be “professional… and free from sectarian quota-sharing (muhasasa ta’ifiyya). The BBC elected to not translate the latter part of the comment, preferring instead to serve more traditional fare: “Government to include Sunnis, Shiites and Kurds” shrieked a rolling headline. In actual fact, today’s “development” in Iraq was entirely uninteresting, save perhaps the fact that it managed to delude the world’s so-called leading news provider (again). The truth is that President Jalal Talabani today repeated exactly what he did on 11 November: He charged Nuri al-Maliki with forming the next government. There is absolutely no constitutional basis for first charging Maliki once and then doing it all over, supposedly in a more “official” way, 15 days later. Talabani could have waited 15 days before naming anyone, but he didn’t. Constitutionally speaking, his action today is completely bid‘a (innovation) and arguably unconstitutional. Everyone knows that the real reason Talabani did this was to give Maliki more time to form the next government, ostensibly 30 days, but everyone knows that that deadline, in turn, will be violated too. Perhaps more interesting as an indication of where we are headed is the announcement today by Ali al-Allaq of State of Law that new ministries will be created! Of course they will. That is not to serve “Sunnis, Shiites and Kurds” as per the hapless BBC headline, but to satisfy the requirements of greedy politicians claiming to speak in the name of those communities. Iraqiyya scored a significant victory when it secured the speakership of parliament on 11 November. The speakership offers a position of real importance and, not least, the possibility to speak, thereby giving Iraqiyya the opportunity to frame the Iraqi debate and position itself on the political stage in a way that no amount of “power-sharing” in the sense of owning ministries or fanciful “presidencies”, real or imagined, can do. So far every indication is that Usama al-Nujayfi will not shy away from using the speakership to speak with an independent voice in a way that can offer a corrective to the executive branch of government. At the same time, as happened previously, developments in parliament since it began meeting regularly after Eid al-Adha suggest that Iraqiyya is continuing to give away leverage in matters relating to parliamentary procedure. Back in June, it surrendered the temporary speakership of the inaugural session to the Kurdistan Alliance when Hasan al-Alawi declined the offer of chairing the first meeting as the oldest member of the assembly. On 11 November, after Nujayfi had received the speakership of the parliament, he himself proceeded to stage an election of the new president of the republic (Jalal Talabani) that was followed by a nomination of Nuri al-Maliki even though there was no compelling reason for him to do so since those items were not on the agenda of the session. As a result, Iraqiyya lost leverage and their current calls for legislation to be passed for the national council for political strategies prior to a vote of confidence on a new government is up against resistance from opponents who prefer to frame the budget for 2011 as a more pressing issue. And who of course know that contrary to the situation in the first minutes after Nujayfi was charged with the speakership, the votes of Iraqiyya are not strictly speaking needed anymore. Today saw yet another development that can be classified as belonging to this category of challenges to the prospect of Iraqiyya dominating the national assembly. In a meeting chaired not by Nujayfi but by his deputy speaker, Qusay al-Suhayl (though apparently with Nujayfi’s consent), a meeting of political leaders agreed on the composition of a new committee that will revisit the existing bylaws of the Iraqi parliament passed in 2006. The committee will be chaired by Suhayl, who is a Sadrist. The bylaws of parliament are interesting because the rules that were adopted in 2006 to some extent imposed a greater degree of power-sharing on the speakership “presidency” than called for by the constitution. True, the constitution includes the toxic number “3” in its stipulation for a speaker with two deputies, thus conjuring up the image of ethno-sectarian quotas to be held by Sunnis, Shiites and Kurds. However, those three are not to be elected in a single list (like the transitional presidency council in the 2005–2010 period), and the constitution also does not impose any consensus requirement for the collective speakership. This is where the bylaws for 2006 go further in defining a considerable degree of collective decision-making for the speakership in terms of setting the agenda, although the speaker is still to some extent able to act independently, for example by calling a meeting of parliament without reference to the two others (however the two others operating together can do the same thing). It is interesting that the idea that the new parliament had to adopt a new set of bylaws has gained traction. This is not something that is dictated by the constitution itself. Nonetheless, an attempt will now be made at revisiting the rules of the game, which could potentially influence even the new-won speakership of parliament held by Iraqiyya. In that respect, the composition of the new committee announced today is interesting in itself: It consists reportedly of no less than 7 members of the National Alliance (the coalition of Maliki, Chalabi, Jaafari and the Sadrists), 4 from Iraqiyya, 3 from the Kurdistan Alliance, 1 from the Tawafuq/Unity of Iraq bloc, 1 from Gorran plus minority representatives of the Yazidis and the Chistians. Iraq has largely closed down for the celebration of Eid al-Adha. In the rest of the Muslim world, this is often an occasion for amnesties for prisoners, and in some places in Iraq, there have been goodwill measures of this kind too, including in the Kurdish federal region. However, from Dhi Qar in the far south, a worrying message of a very different kind was sent out on the eve of the holiday. 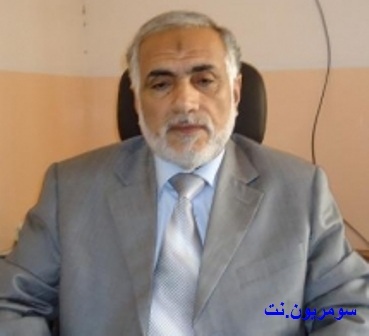 On Monday, the governorate council voted to stop the process of giving back 170 persons their jobs in the educational sector after they had first been subjected to de-Baathification but later cleared by the accountability and justice board in Baghdad. The decision to stop the process was communicated by Latif Sayhud, a Daawa member also known as Abu Ahmad al-Hashimi. Although Sayhud is known to have been in conflict with Maliki in the past, the provincial council in Dhi Qar is dominated politically by an alliance reminiscent of the new National Alliance that is now in the lead in forming the next Iraqi government, with Daawa, the Sadrists and the Jaafari breakaway faction of the Daawa in central roles. It should be added that the sheer magnitude of the numbers involved in this Shiite-majority governorate strongly suggests that this is an intra-Shiite affair between Shiites who worked for the previous regime and Shiites who joined Islamist groups, whether in exile or in Iraq. Another worrying aspect relates of course to the quasi-federalism that is gradually emerging in multiple Iraqi governorates south of Baghdad. Governorates in places like Najaf and Basra have already discovered they have a power to legislate on the sale of alcohol. In Wasit they have gone further by imposing male guards on every female member of the provincial council! During the previous upsurge of de-Baathification in February, most governorate councils in the south confined themselves to implementing wild interpretations of the national legislation on the subject; today, the obvious fear is that with the continued tendency towards ever greater fragmentation of the Iraqi institutions of government, also de-Baathification could in the future become an area where governorates will seek to push their own ideas about “accountability and justice”. Rumours about some kind of serious internal dissension within Iraqiyya have been flying around for weeks, but so far not much of substance has materialised. It does however seem significant that a press release from Iraqiyya, published today through the ordinary party bureaucracy and in itself not particularly remarkable, all of a sudden talks of Kazim al-Shammari as “official spokesman” of the list. Earlier this autumn, Ayad Allawi has had a tough job enforcing unity within Iraqiyya ranks, and at one point explicitly limited the list of people authorised to speak on the behalf of Iraqiyya to Maysun al-Damluji and a few others. Even though there could of course be practical and/or holiday-related reasons behind it, the sudden “promotion” of Shammari, who earlier in the week was one of the few Iraqiyya deputies to express support for Maliki before the conclusion of the political talks in Baghdad, does seem to mark a break with Allawi’s line. If confirmed, this could indicate a deeper split within Iraqiyya, at least partially related to tensions between the “exiled” and the “domestic” circles within the coalition which seemed further highlighted in a separate meeting yesterday between Jalal Talabani and Usama al-Nujayfi, Salih al-Mutlak, Rafi al-Eisawi, Izz al-Din al-Dawla and Jabir al-Jabiri, all of Iraqiyya. It is noteworthy, though, that Shammari, who was elected from Baghdad, is a Wifaq member (Allawi’s own branch), indicating the potential depth of any split. This is essentially a non-story, but since it will be exploited by ignorant world leaders rushing to congratulate the Iraqis on their new wonderful “power-sharing arrangements”, a few words are in order. Basically, nothing significant happened at today’s session of the Iraqi parliament. Yes, there was a majority vote expressing “support” for the “Barzani initiative” and the agreements that led to the nomination of Maliki for a second term. But then again, who doesn’t “support the Barzani initiative”? The obvious problem here is that declarations of support are not what matter here. Laws are what matter. That is the modus operandi of the parliament, and if the intention is to succeed with the “power-sharing” strategy, then the Iraqiyya coalition needs to make sure that the relevant legislation for their projected wing of the Iraqi government – the national council for strategic policies – comes into existence sooner rather than later (some refer to a council for “high policies” instead, just to indicate how much this is just fiction right now). The problems in this regard are pretty obvious. Maliki ally Hassan al-Sunayd was actually right when he said that this kind of endorsement of political agreements made outside parliament is not the kind of matter parliament would normally deal with. Of course, had there been agreement, there would have been a law! But there is no agreement. Even Humam Hammudi of ISCI, which has been flirting with Iraqiyya for the past year or so, indicated that the new national council would come into existence without taking power from any existing institution. That sounds rather more like a think tank than the “power-sharing deal” the media write about. Additionally, there was bad news outside the assembly for Iraqiyya, where wild rumours concerning the status of the agreement signed by Barzani, Allawi and Maliki were floating around for some time, and at least some Kurds and State of Law members identified a link between Iraqiyya’s failure to support Jalal Talabani for president and the fate of the projected strategic council earmarked for Iraqiyya in the original deal. On top of that, there was also strong criticism from these corners against the acceptance speech by Usama al-Nujayfi, the new speaker – which in fact had featured numerous valid criticisms of the first Maliki government and the constitution adopted in 2005. Some reports suggest that one implication of today’s vote is that the de-Bathification of three Iraqiyya leaders, Salih al-Mutlak, Zafir al-Ani and Rasim al-Awwadi, will definitely be reversed. In actual fact, if this came about as a result of parliamentary action, it would make matters worse! Unless one believes in some kind of parliamentary absolutism it simply is not the job of the Iraqi parliament to interfere on an ad hoc basis with the judiciary. Even though it was framed as a request for goodwill and involved “testing the waters”, it was clumsy and parochial of Iraqiyya to go ahead with the narrow request for three persons to be cleared in an extra-judicial way. The bigger problem is of course the whole de-Baathification process. It is true that Mutlak and Ani were clearly de-Baathified for no good reason, but the appropriate response would be to attack the system as a whole and work to change it. And again, one gets the impression that Iraqiyya does not get its priorities right. It had its moment of leverage for some 10 minutes on Thursday, after Nujayfi had been elected speaker and in theory could have filibustered the whole process of nominating Maliki. But then came the walkout and Maliki was nominated; now Iraqiyya will have to work through legislation if it wishes to achieve real guarantees of power-sharing. The rest of today’s parliamentary proceedings did not bode well, with several raving speeches far away from the subject matters that were on the agenda. Turkmen deputies broke away from their ideological blocs to express demands for Turkmen positions in government. The Kurds in the assembly seemed mostly preoccupied with expressing panegyrics for their great leader, Masud Barzani and his wonderful “initiative”; Mahmud Uthman also wanted to talk about the Christians. As she always does, Safiya al-Suhayl managed to identify a lack of focus on women in the political agreement. One might wonder if it was all a deliberate plot to sabotage the proceedings, but it seemed to represent the same genuine basic incompetence that characterised the previous assembly. Some in Iraqiyya are apparently trying to spin today’s fudge as a great success. That may give them peace of mind as Iraq closes down for Eid al-Adha next week. But in the long term it will be counter-productive and create disappointment; only firm legislative action once parliament reconvenes on 21 November can make a real change. In a repeat of the procedure used in April 2006, the Iraqi parliament today met and elected not only its speaker (Usama al-Nujayfi of Iraqiyya) but also the president (Jalal Tabalani of the Kurdish alliance). Talabani went on to nominate Nuri al-Maliki as premier candidate of “the biggest bloc in parliament” – the National Alliance, consisting of Maliki’s own State of Law alliance (89 deputies) plus its newfound partners from the disintegrated Iraqi National Alliance including the Sadrists (40 deputies), Ibrahim al-Jaafari and Ahmad Chalabi. It is noteworthy that constitutionally speaking, parliament could have delayed the president election until one month after the speaker had been elected and then the president in theory would have had 15 days to nominate the premier candidate. For some ten minutes of the session, this appeared to be a real possibility as Iraqiyya deputies objected to persevering with the election before parliament had discussed the political deal by bloc leaders that brought about today’s meeting, including the question of the de-Baathification status of some of its leaders. They also correctly pointed out that the original invitation to the session did not have the presidency question on the agenda, only the speakership, and there were outright lies about the constitution from some Shiite Islamist leaders, with both Humam Hammudi and Hassan al-Shammari erroneously claiming the election of the president in the same meeting was stipulated in the constitution. However, instead of using his newfound authority to throw the session into disarray, Nujayfi continued to chair the session for a while even as many of his fellow Iraqiyya deputies stormed out (some reports say in the range of 50 to 60). Eventually Nujayfi himself temporarily withdrew, allowing his newly elected deputies, Qusay al-Suhayl (a Sadrist from Basra) and Arif Tayfur (of the Kurdish alliance and a deputy speaker also in the previous parliament) to go along with orchestrating vote on the president. Nujayfi returned to chair the final part of the session, and embraced Talabani as he entered the stage to make his acceptance speech. Many will try to claim credit for the apparent “breakthrough” after more than 8 months of stalemate. For example, ISCI leader Ammar al-Hakim has suggested that the recent flurry of talks reflected his own desire for a “roundtable”. The president of the Kurdistan Regional Government, Masud Barzani, has tried to acquire ownership of the process by referring to it as his own initiative and demanding that the last round of meetings be held partly in Arbil, the Kurdish capital, and partly in Barzani’s private house in Baghdad. The United States will doubtless construe developments as a triumph for its own behind-the-scenes diplomacy! The really significant developments took place on 1 October, when the Sadrists and State of Law with Iranian support agreed to nominate Nuri al-Maliki as premier candidate, and on 24 October, when the federal supreme court went ahead with a decision to bring an end to the open session of the parliament. Whereas that decision was the least the Iraqi voter could have asked for, its timing seemed pegged to Maliki’s calendar and the loud protests from Iraqiyya and others signified suspicion about political pressure on the courts once more. The 24 October decision, in turn, put pressure on the Kurds to make up their mind, and the “Barzani initiative” ended up as an attempt to maximise Kurdish gains within the parameters of a future Maliki government. For the past weeks, Maliki’s nomination as such has not appeared to be under realistic threat, and even if all the big winning lists are nominally committed to taking part in the next government, it is Maliki that is the big winner so far. In analyzing the deal that was made, it may be useful to recap what the main players actually managed to achieve. Iraqiyya has moved the furthest away from its original position of demanding the premiership and is making a big gamble. Indeed, it is unclear whether it will return to the political process at all. True, it has ostensibly secured the powerful speakership, which is a more valuable asset than Iraqiyya (and, for that matter, the United States) seem to appreciate. But other than that, it has based its participation on the presidency of an institution that is not even in the constitution, and whose powers are ill-defined today: the so-called national council for strategic policies. That job will supposedly go to Ayad Allawi, and parliament is supposed to adopt the relevant legislation later on. But the position does not enjoy any constitutional protection, and until the council is up and running with truly effective powers, it could in a worst-case scenario end up as the fraud of the century , with Allawi as a minister without a real portfolio (symptomatically, unlike Nujayfi, Maliki and Talabani, Allawi was just an ordinary MP after today’s session). Reportedly, Iraqiyya will also be shut out from all the security ministries, which makes it even more important to them that what is currently merely a fantasy institution will actually come into existence in the real world. Its voters may certainly want to reflect on how much better they would have come out in a bilateral deal with Maliki, and Iraqiyya leaders are already facing threats from the more militant elements of its electorate. Still, Iraqiyya has not formally withdrawn from the process. Until it does so, the newly formed “centrist” alliance of Tawafuq and Unity of Iraq (10 seats) will have a little less leverage as an alternative bloc to represent supposed “Sunni interests” and is looking a little stupid with the leak in the Iraqi media recently of its extravagant and explicitly sectarian demands for taking part in the next government. It is noteworthy in this context that Nujayfi, an Iraqi nationalist with a Sunni Arab background from Mosul who has faced frequent accusations about Baathist sympathies, eventually did return to the session to fulfil his duties as newly elected speaker and install a Kurdish president of Iraq. Nujayfi had managed to obtain 227 votes in the assembly for the speakership, in other words more than Talabani’s 195 for the presidency. At the same time did not shy away from talking frankly about problems in the previous government and the need for constitutional reform during his acceptance speech. The media will make a big point out of the fact that the Kurds got the presidency, but many will fail to notice that, firstly, in the moment Jalal Talabani was elected he lost the veto power he had as a member of the transitional presidency council (which expired in that second), and, secondly, that he also lost every almost every other power when he some ten minutes later designated Nuri al-Maliki as the premier nominee. Absent a failure on Maliki’s part to put together a new government (in which case Talabani can designate whomever he pleases as a second candidate), Talabani henceforth will enjoy symbolic and ceremonial power only. The other big problem for the Kurds is the fact that their long list of demands for taking part in the next government refers to radical legislative action (including on an oil and gas law and a referendum on Kirkuk) that many parliamentarians continue to find unrealistic, so they may easily end up getting disappointed for a second time despite the promises from Maliki. The big winner is of course Maliki, but it may be useful to see what the rest of the Shiite Islamist camp got from the deal. Relatively little attention has been accorded to the fact that the Sadrists look set to take over a number of governor positions (Maysan and Babel or Diwaniyya) in exchange for their participation. So much for decentralisation in Iraq! Inhabitants of the south are already expressing despair… In other news on this front, there are reports that Hadi al-Amiri is seeking to reconnect with the all-Shiite National Alliance to bring the Badr organization back into the fold, but right now the other INA defectors who rebelled against Maliki, especially ISCI, are looking a little lonely even though they say they intend to participate (Adil Abd al-Mahdi was prominent at today’s meeting). As for the regional and international players involved in this, the outcome is a mixed one. In one way, the United States managed to secure its goal of having all the players “inside the tent”, if only just. Its mission civilatrice of teaching the rest of the world how to peacefully kick the can further down the road has apparently succeeded! But there are some major caveats too. Recently, the Obama administration spent an awful lot of energy trying to convince the Kurds to give up the presidency to Iraqiyya. This in itself signalled diplomatic incompetence since the presidency is more or less worthless in its current shape and cannot be upgraded to something more powerful except through constitutional change with a special majority in parliament and a subsequent popular referendum. Additionally, the failure of Washington to sway the Kurds, even after direct phone calls from President Barack Obama, did not play well in the region in terms of prestige. If the US president was unable to get what he wanted, he should have avoided such a humiliating sequence of events. Still, the most important problem lies in the fact that the United States has staked its policy on some kind of informal premiership for Ayad Allawi, with Tony Blinken even going as far as trying to portray today’s deal as an alliance of the Kurds and Iraqiyya against Maliki! That narrative, repeated in a series of hapless media reports that talk about “power-sharing between Allawi and Maliki” and even an Allawi–Maliki “coalition” (BBC) rather distorts the fact on the ground as of today, where Maliki remains premier and commander in chief of the armed forces with his constitutional prerogatives in good order and the support of the Sadrists, the Kurds and Iran. With the expiry of the presidency council today, no one has a veto power on laws passed by the legislature with even the smallest of majorities, and for the time being the new political council for strategic policies remains a projected annexe to the rest of the sprawling political architecture of Iraq – it remains to see whether the powers that be (and the neighbours!) will accept it. It is not totally unlikely that Maliki will try again what he did back in 2008, i.e. once more marginalizing the Kurds, the Sadrists and even Iran and try to be an Iraqi nationalist, but this kind of development will be despite the policies of the Obama administration, rather than a consequence of them. Finally, as cannot be stressed enough, the government has not yet been formed. Beyond the major structural problem already referred to of actually empowering Iraqiyya in the next government, numerous smaller shoals lie ahead as well. One potential flashpoint is the oil ministry, where the Kurds and Maliki’s people, like Hussein al-Shahristani and Abd al-Hadi al-Hassani, have clashed in the past. It is also a little unclear whether the new president is cognizant of the fact that he has no power anymore. The only thing that seems certain is that once nominated, Maliki will probably not let go of this opportunity. In 2006, forming the complete government took a little less than two months from the prime ministerial nomination in April (the constitution says it should take one month); it is however not unrealistic that some time in the foreseeable future, and certainly in early 2011, Maliki should be able to come up with a list of ministers that will secure the 163 votes he needs in parliament. Contours of a Deal in the Making? Reporting on yesterday’s meeting of the political blocs in Baghdad is like reporting on an end-of-the-year high-school prom. Most of what took place consisted of uninteresting formalities; however towards the end of the evening, people that had known about each other for a long time suddenly started to talk seriously. The exact details of what actually happened remain unclear. Reporting on high-school proms is of course inexact science. Nonetheless, some of the basic facts – like who was there, and who wasn’t – are relatively easy to sort out. To begin with the absentees: Most notably Ayad Allawi and Tariq al-Hashemi of Iraqiyya failed to turn up. Adil Abd al-Mahdi of ISCI left early. But then, around 9:30 PM in the evening or thereabouts, something interesting happened. Most of the delegates adjourned for a break and sweets were served. But Prime Minister Nuri al-Maliki and Rafi al-Eisawi of Iraqiyya went for a closed-door meeting. A little later, Salih al-Mutlak, also of Iraqiyya joined them. The talks between the three went on for maybe an hour and a half. Today, the rumours of what took place differ wildly. The most extreme reports talk of a breakaway faction in Iraqiyya prepared to work with Maliki. We will not know for sure until we see who turns up at tomorrow’s session of parliament, if that session takes place at all. But at least some pretty interesting broad tendencies are discernable. Those who seem disinclined to go ahead with tomorrow’s meeting and any deal with Maliki right now include Allawi and Hashemi of Iraqiyya plus ISCI, which also today was absent at the meeting in the all-Shiite National Alliance. This is interesting, because these are precisely the figures the Kurds would have preferred to have inside the next government as a counterbalance against Maliki. Nonetheless, despite the absence of these figures, the Kurds seemed committed to continuing the process at the end of the meeting, with a final preparatory meeting scheduled for later today. The other interesting thing is that Maliki bothers to talk to leaders of Iraqiyya like Salih al-Mutlak and Rafi al-Eisawi. Additional rumours suggest Usama al-Nujayfi could be interested in the speakership. This is not something Maliki is doing at the insistence of the Kurds, Iran or the United States: Mutlak, Eisawi and Nujayfi represent the “domestic” Iraqiyya rather than the leadership that returned from exile in 2003, and include people who are disliked by both the Kurds (for their nationalism) and Iran (for their supposed Baathist connections). As for their relations with the United States, they tend to get a lot less airtime than people like Allawi and Hashemi who are surrounded by professional apparatuses that make communications with Washington easier. To Iran and the Kurds it would have been more convenient with just the new “centrist” alliance (Unity of Iraq plus Tawafuq) constituting symbolic “Sunni inclusion”; to Washington a presidency, however imaginary, for Allawi or Hashemi would seem to satisfy the same requirement. But to Maliki, people like Mutlak, Eisawi and Nujayfi might perhaps be interesting in a long-term strategy. Whereas he may see Allawi as belonging to the governing council clique of 2003–2004, Mutlak and Nujayfi are among the people he was reaching out to in early 2009 before de-Baathification became a major issue. Unlike Allawi, they seem more focused on specific positions and straightforward portfolios than on convoluted systemic change and complex power-sharing formulas as a requirement for seating the government, and for that reason may be easier to accommodate within the strategy he may have in mind. At the same time, they could offer a potential bastion of support in the future if Maliki wants to make a second try as an Iraqi nationalist, without relying so heavily on the Kurds, the Sadrists and Iran. For now, though, Maliki needs the Kurds and the Sadrists for coronation purposes. Today he repeated his call for the meeting of parliament tomorrow to go ahead. The big question is how many deputies will heed his call. The much-touted Arbil summit that took place earlier today as part of the “Barzani intiative” turned out to be a relatively brief event. Political leaders arrived from Baghdad in the morning, held a brief televised meeting dominated by boilerplate speeches on national unity and respect for the constitution, and decided to resume talking again tomorrow afternoon in Baghdad. Beyond the nice talk about a “partnership government” there are two competing tendencies in motion here. On the one hand, Nuri al-Maliki seems focused on Thursday’s meeting in parliament at which he hopes to secure his own nomination as prime minister for a second term. In his view, all that is needed is agreement on the three major posts of prime minister, president and speaker of parliament. Based on his latest political moves, one would assume that he is aiming for himself as prime minister, Jalal Talabani for president and maybe someone from the new “Centrist” coalition of Tawafuq and Unity of Iraq as speaker, unless someone from Iraqiyya should signal their interest. This kind of scheme is sometimes labelled as a “political-majority” project, but that is misleading since it is based on an ethno-sectarian alliance full of ideological contradictions (on issues like state structure, federalism etc.). These issues would have been more pronounced had it not been for the invisible hand of Iran and its role in holding the alliance together. On the other hand, Iraqiyya, apparently with increasing American support, is aiming for a power-sharing deal in which Ayad Allawi would obtain the presidency with enhanced powers. The main problem here is the constitution, which demands a special majority decision in parliament for this kind of constitutional change, to be followed by a popular referendum. 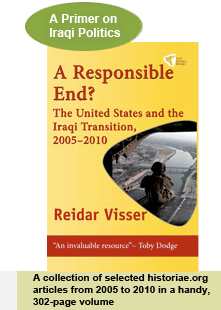 Even if the other parties agreed on giving a beefed-up presidency to Iraqiyya, no one would know for sure whether the powers of the presidency would actually change until after a referendum some time in 2011. The interesting aspect in all of this is the position of the Kurds. In theory, they could have picked a winner in the discussion; instead they seem to go on talking. Today they contributed an agenda reportedly consisting of 13 disputed points, including constitutional reform and revisiting the accountability and justice law! Evidently, they are fearful that Maliki is giving them empty promises and for that reason they would probably prefer to have ISCI and Iraqiyya inside the government to make it as polycephalous as possible. Their dilemma is that whereas this kind of posture may play well with Washington, it is disliked by Iran. Additionally, as time passes by, there is also the danger of growing revulsion against the extensive Kurdish demands for taking part in the government. The longer time this takes, the greater the likelihood of some kind of showdown in a sensitive area of policy, say, about who should be oil minister. To Washington, this is a situation with no good alternatives. If it supports an early meeting of parliament, it will get the Shiite–Kurdish government that Iran has been working for. If it supports the Iraqiyya alternative, it may not get a new government at all anytime soon. Certainly, resolving all the issues between Iraqiyya and Maliki within three days seems unrealistic. Arguably, then, by continuing to lull Iraqiyya into constitutionally problematic scenarios, the Obama administration is becoming a spoiler in the Iraqi government-formation process against its own will. But since it never supported the viable alternative of a Maliki–Allawi coalition and instead pressed for a scenario which involves government formation and constitutional change at the same time, there really are no good alternatives either. The fear is that over coming months, the US government will spend most of its Middle East energies on partitioning Sudan and that once more, Iraq will get back-burnered.